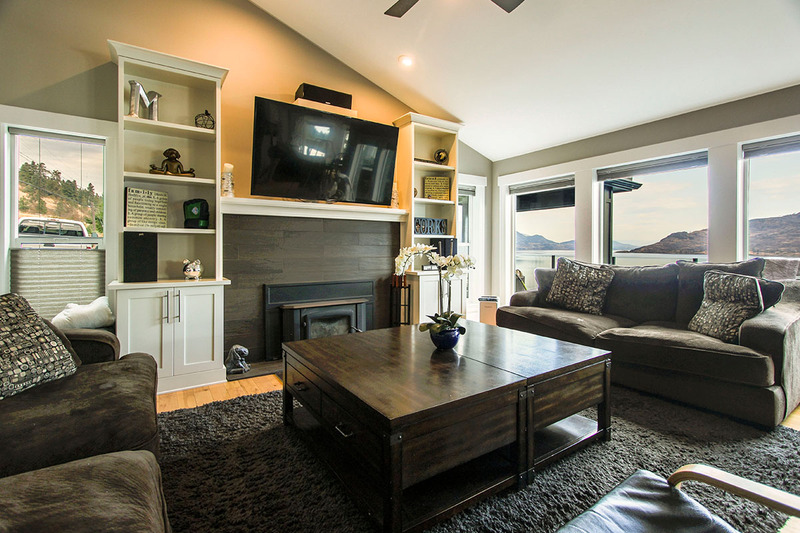 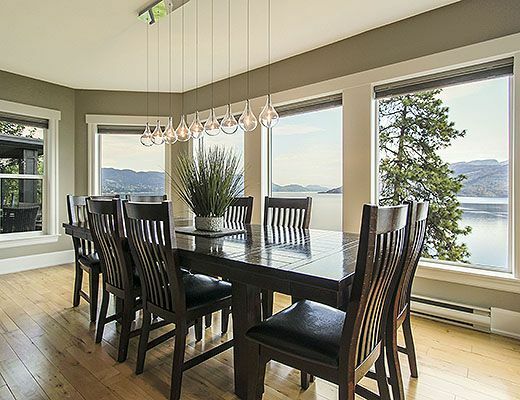 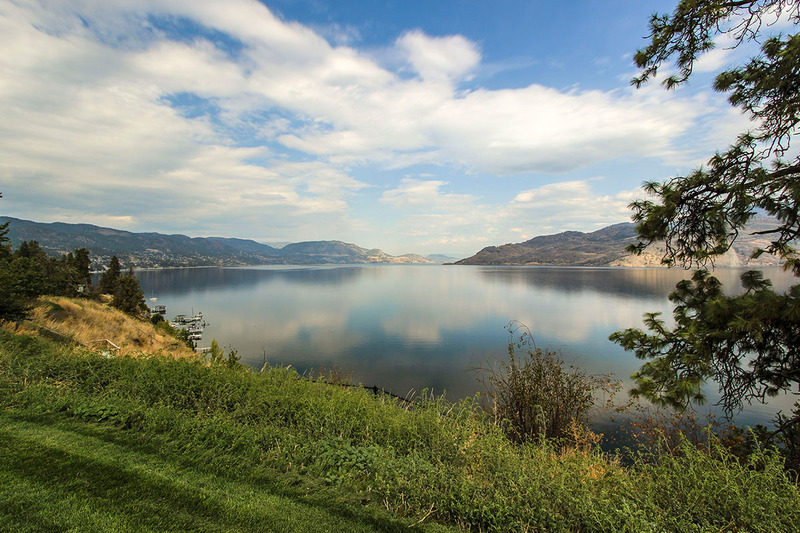 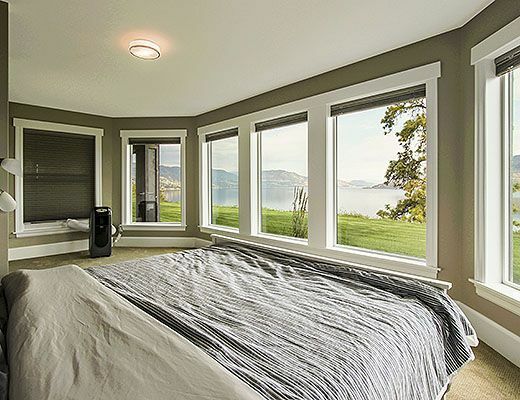 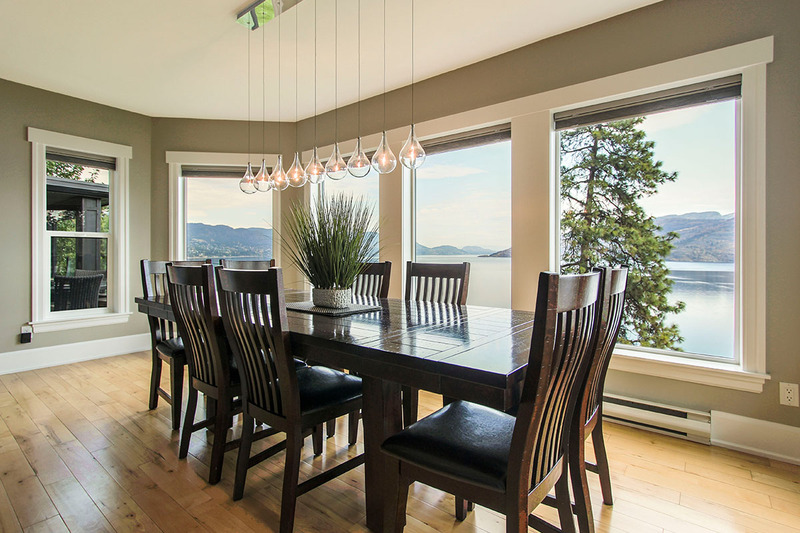 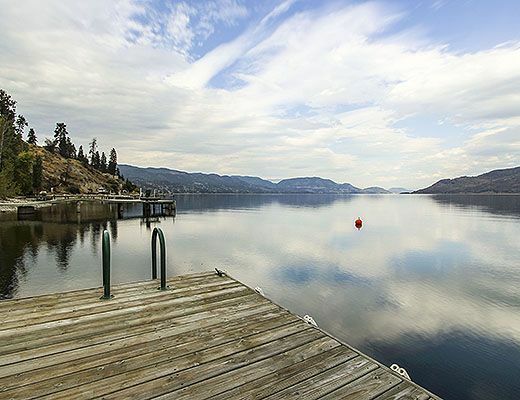 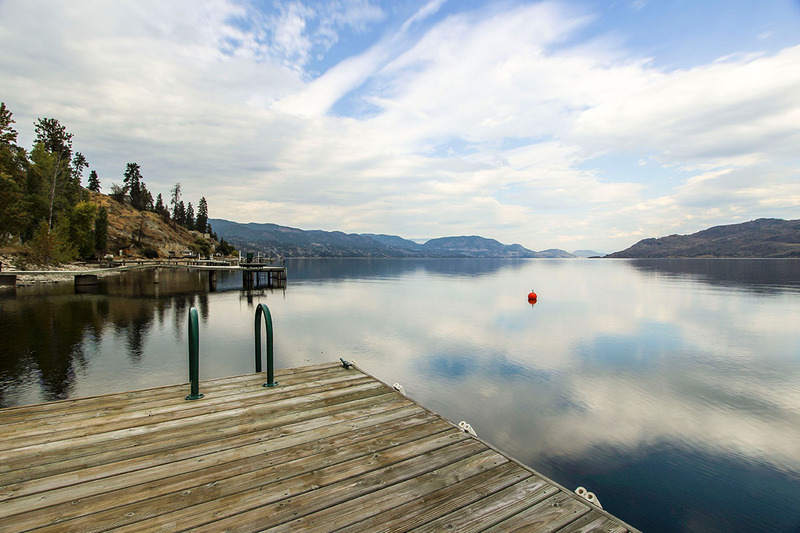 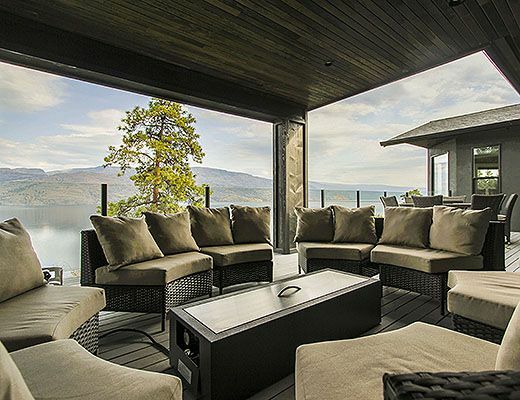 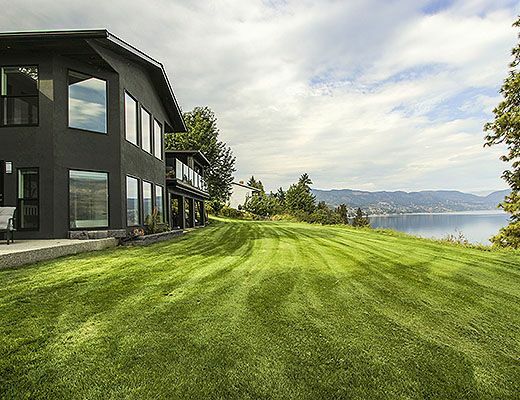 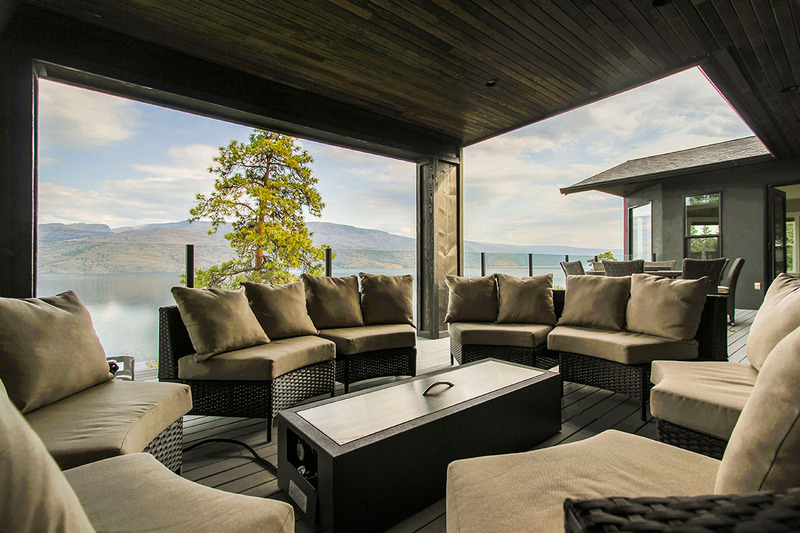 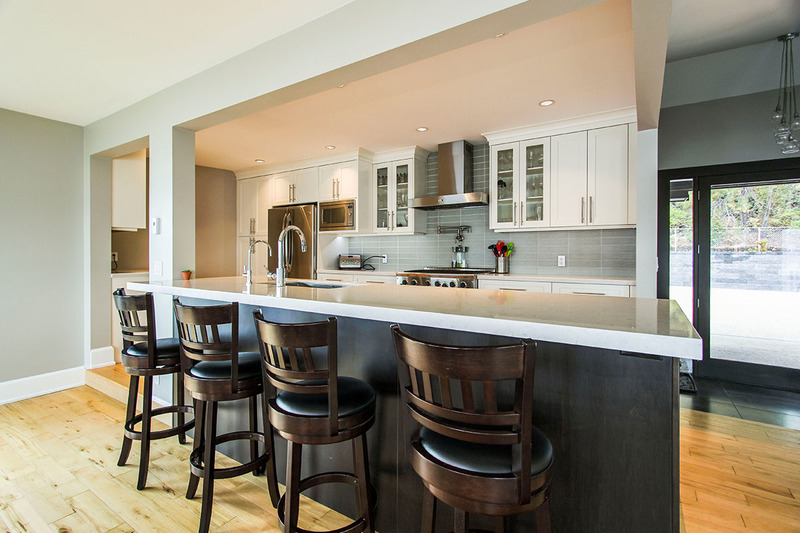 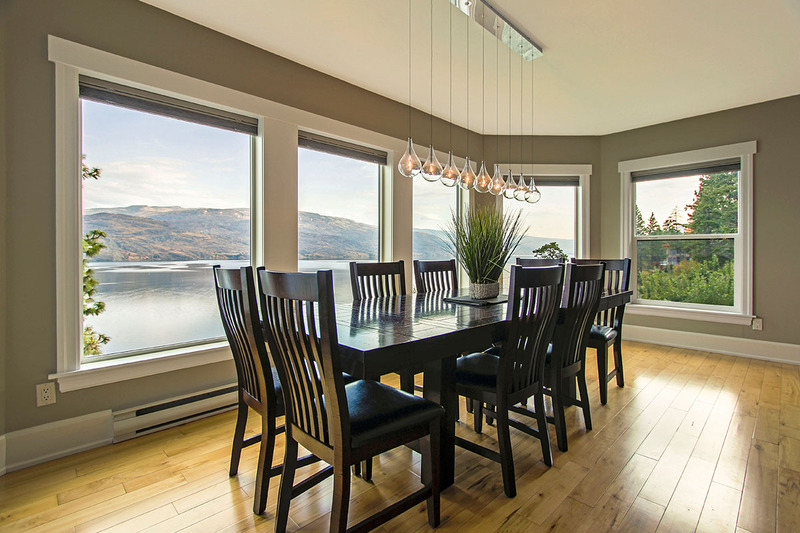 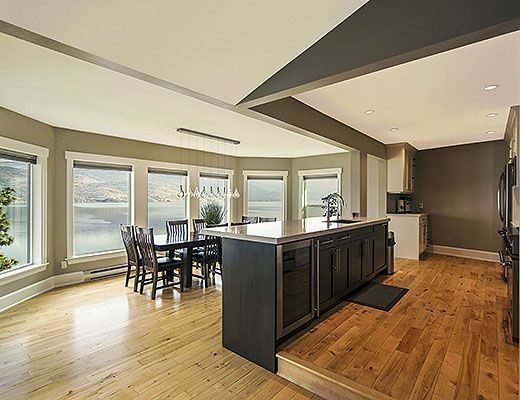 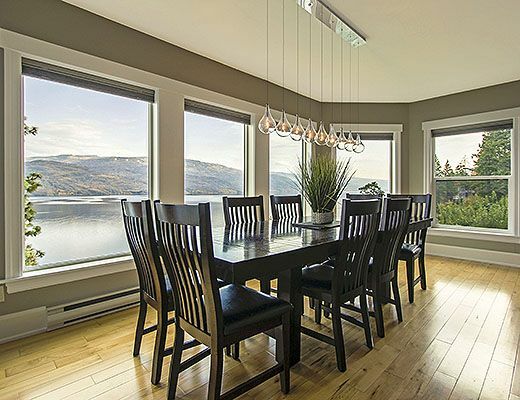 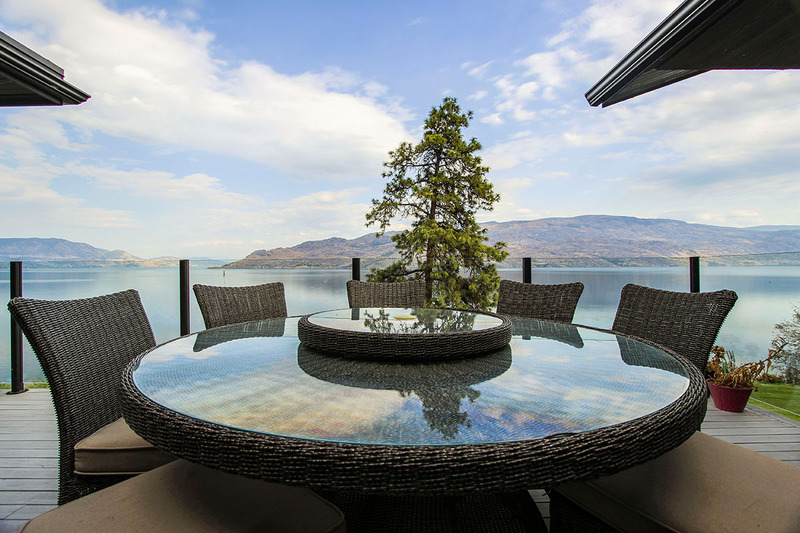 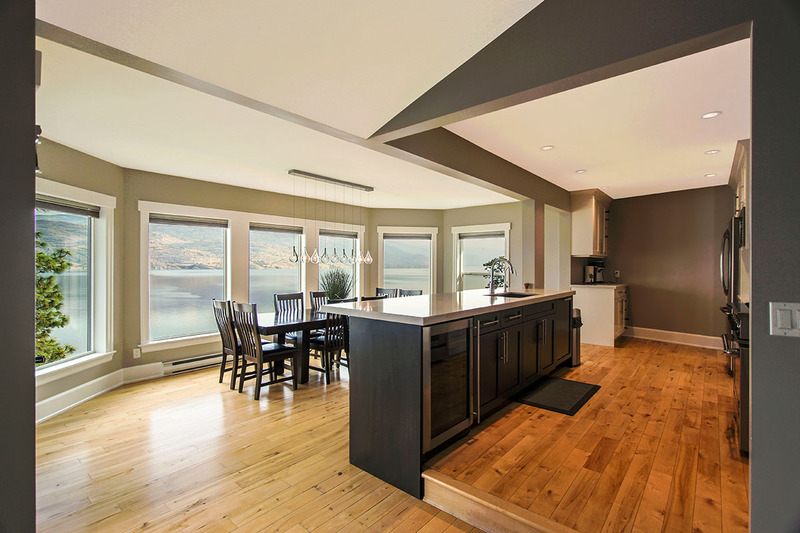 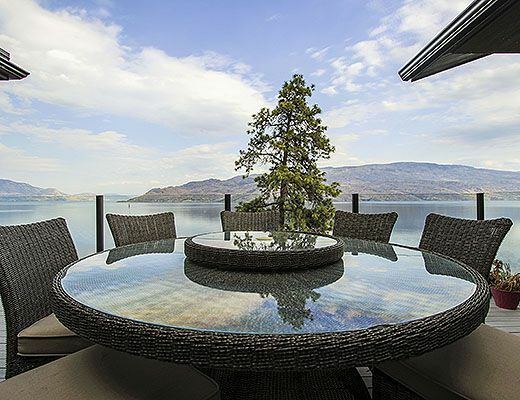 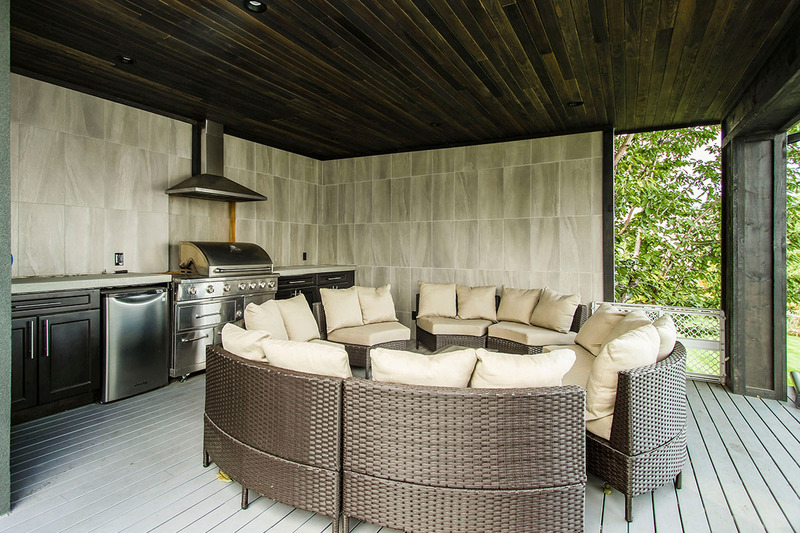 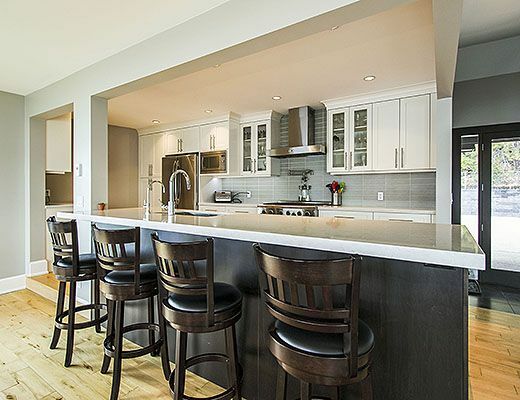 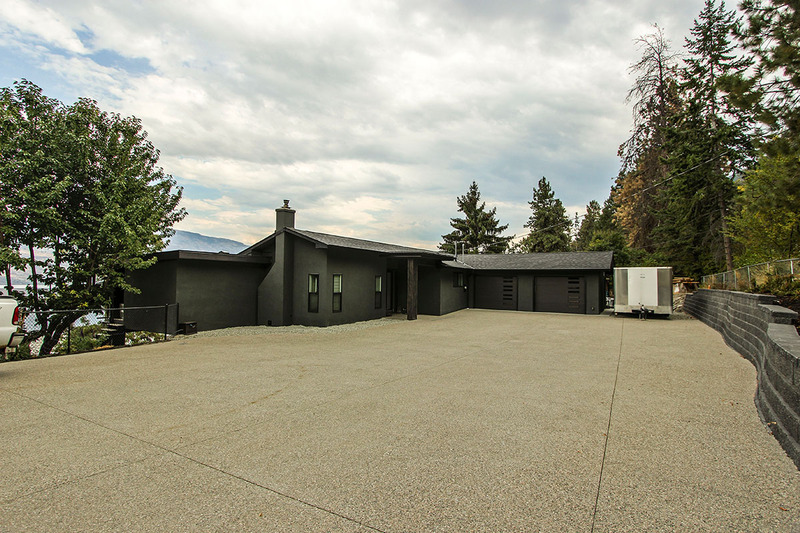 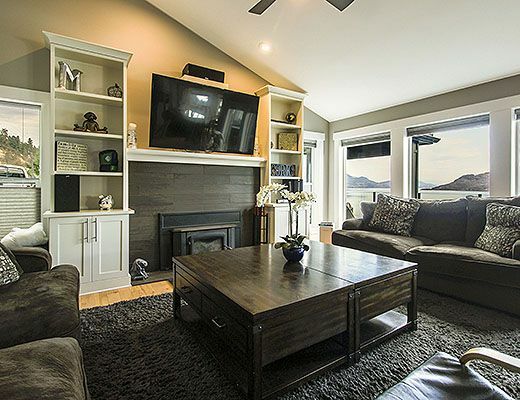 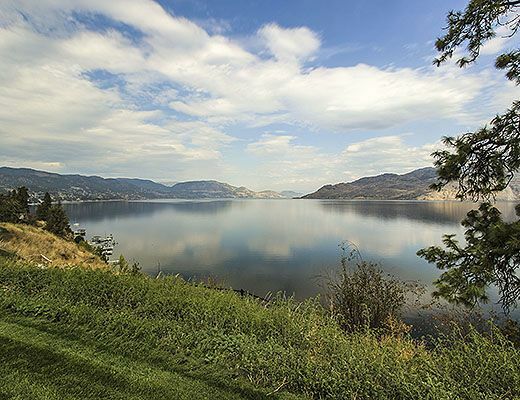 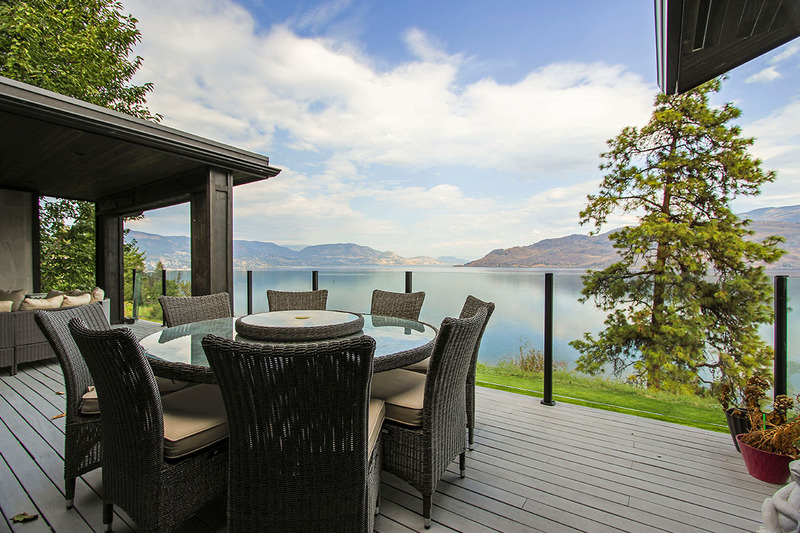 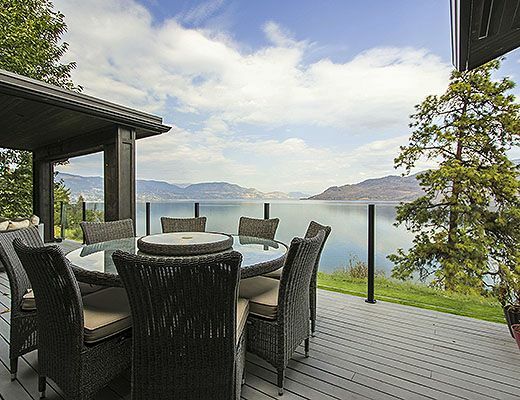 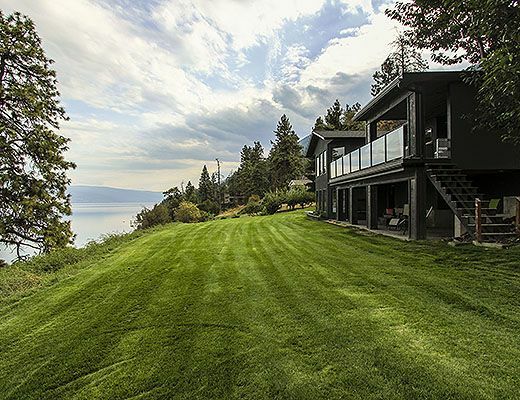 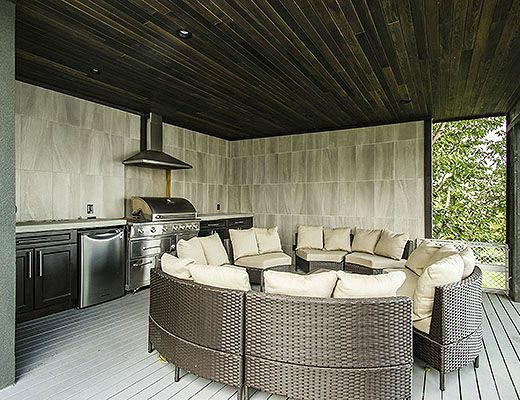 Perched above Okanagan Lake, this 5 bedroom home offers an impressive 190 degree view, which can be enjoyed from the spacious upper patio, living room, dining room and lakeside bedrooms. 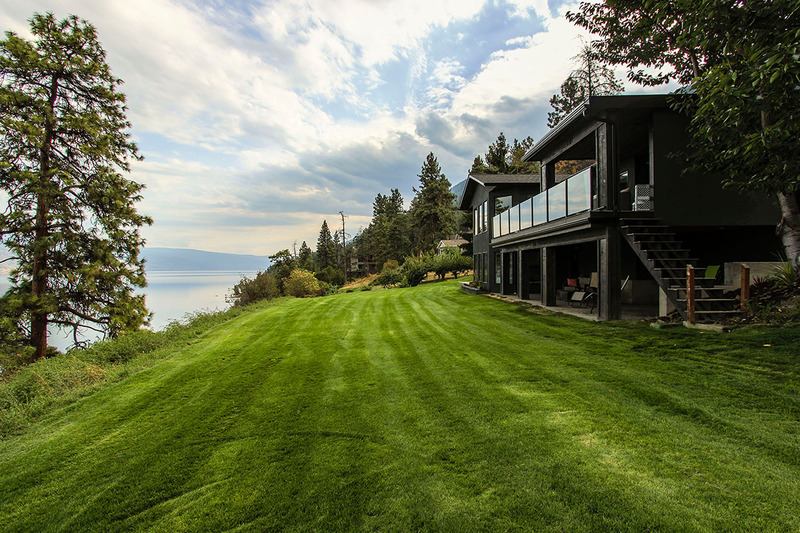 The ample front yard provides plenty of green space and is perfect for families with children. 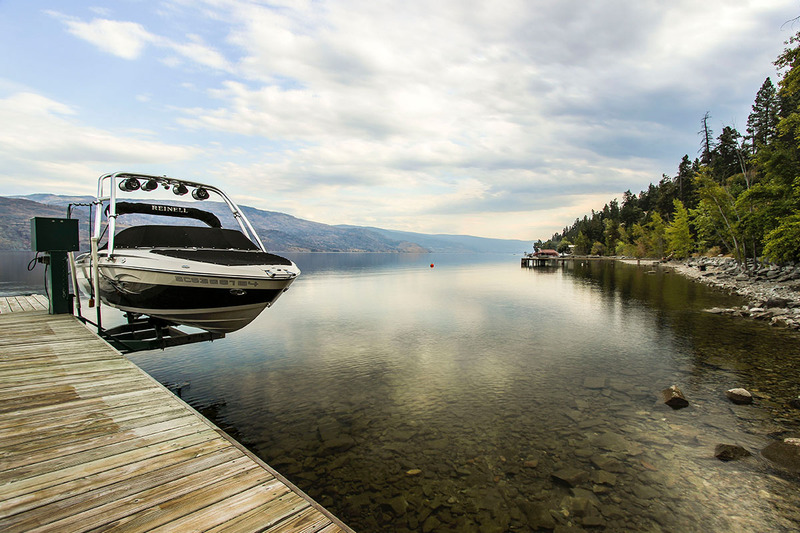 A custom built staircase takes guests down to the lakefront where they enjoy a day cabin, beach and private dock with boat lift. 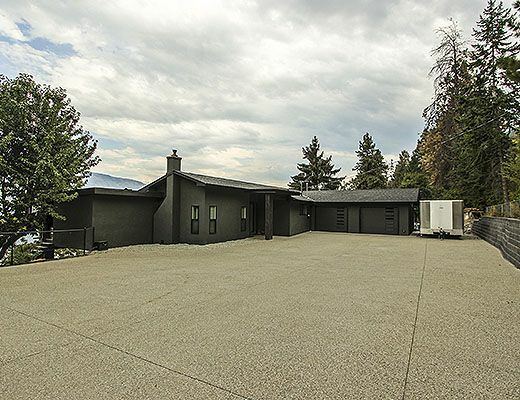 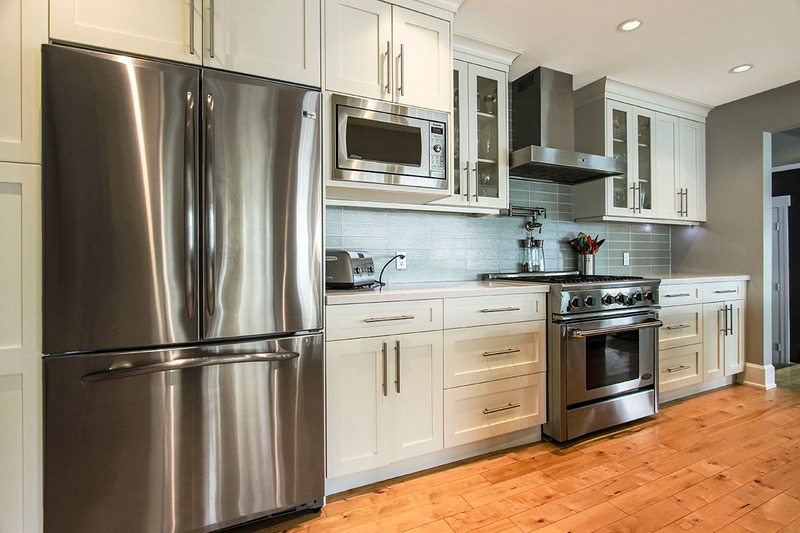 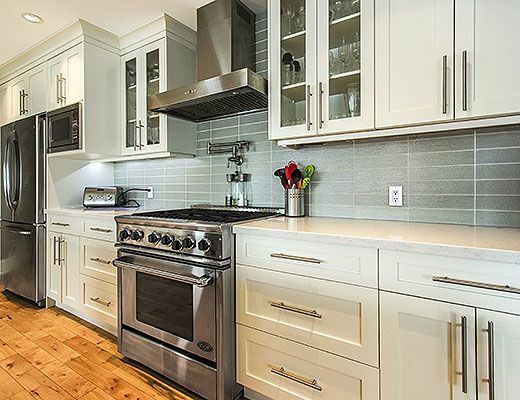 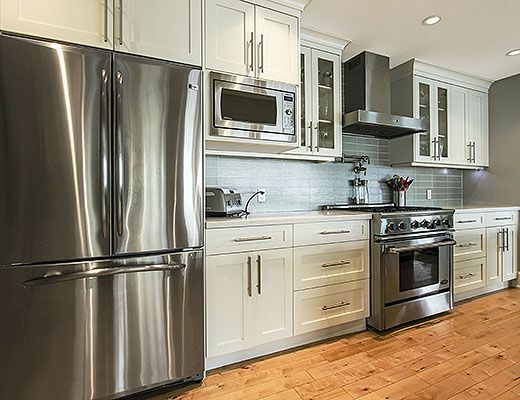 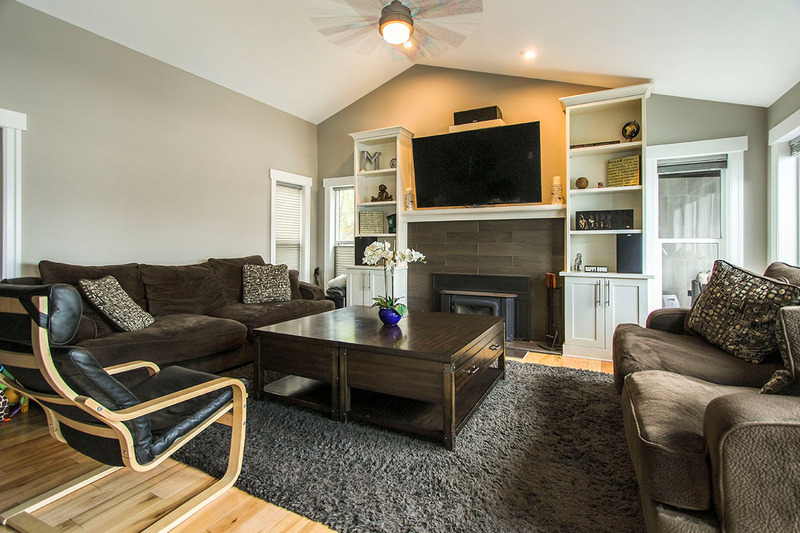 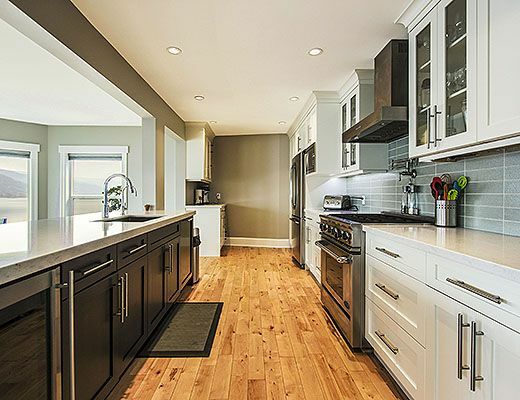 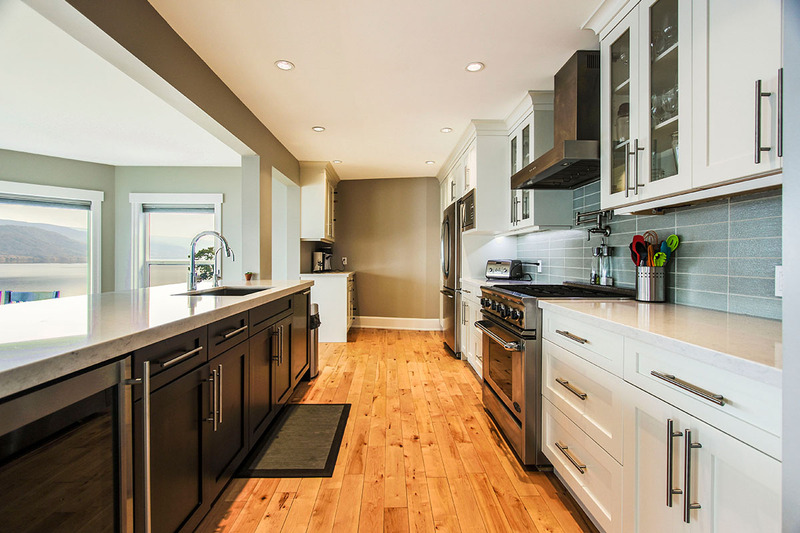 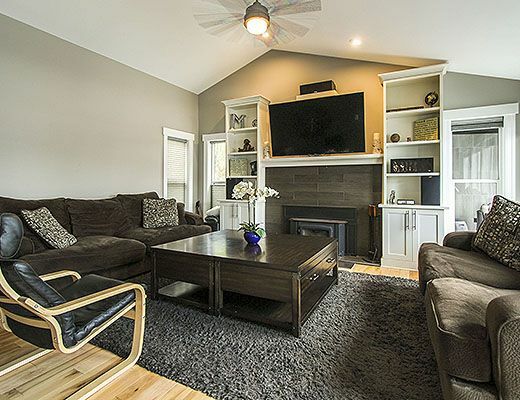 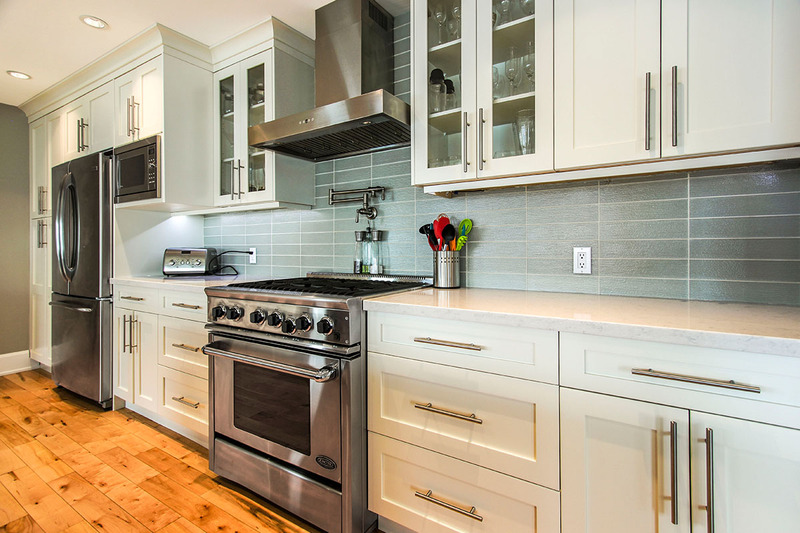 The upper level of this home offers an open concept living room, dining room and modern kitchen with stainless steel appliances and a gas range. 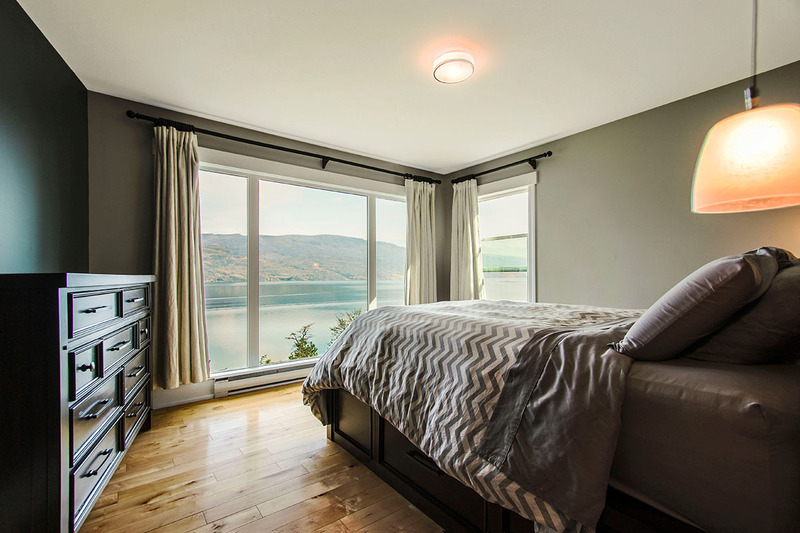 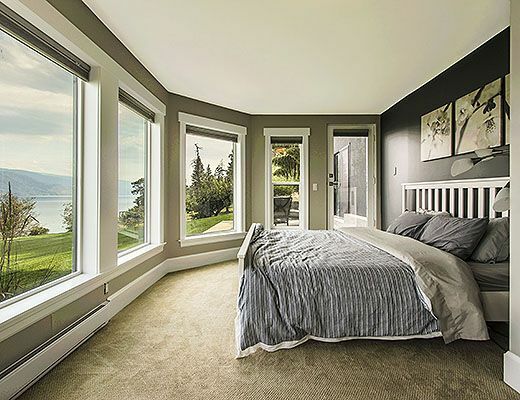 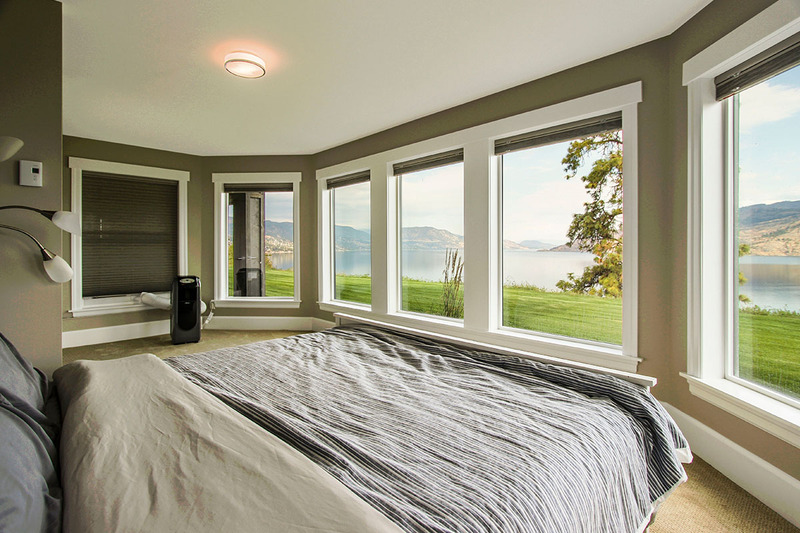 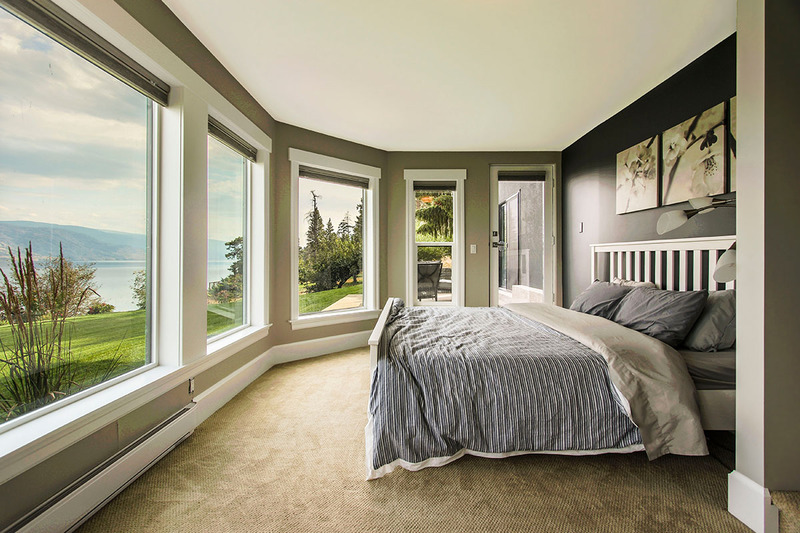 The master bedroom is furnished with a Queen size bed and enjoys a superb lake view and private ensuite. 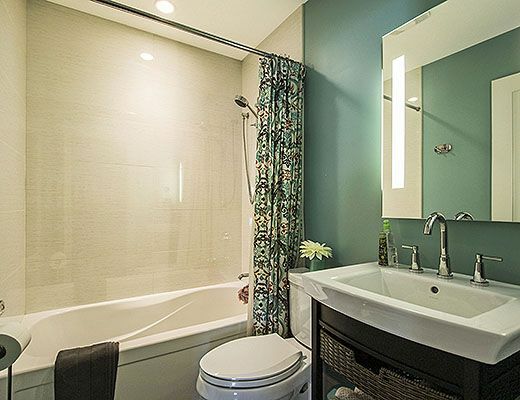 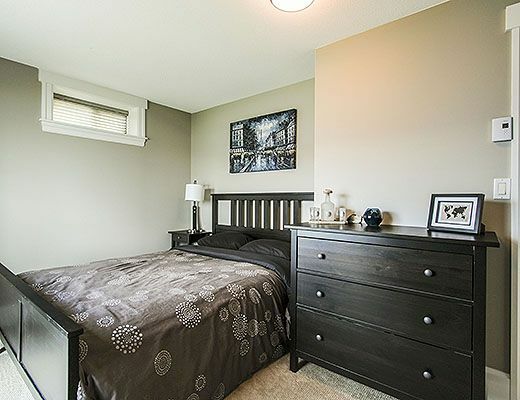 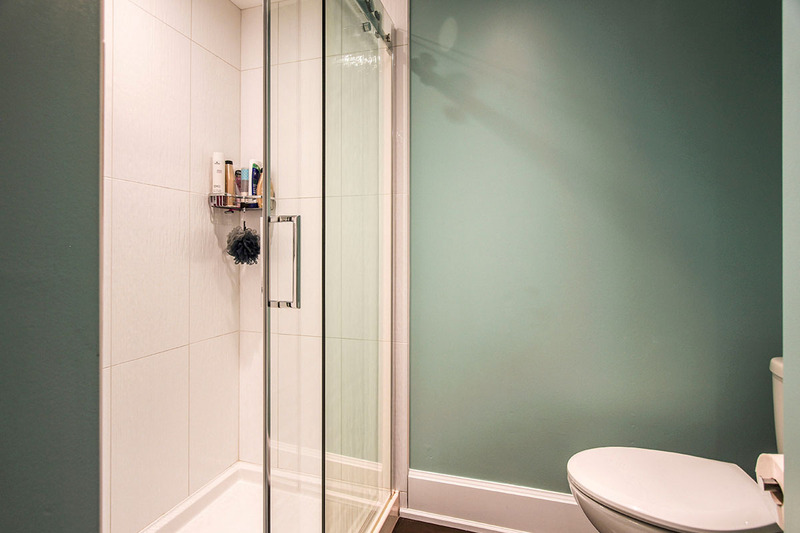 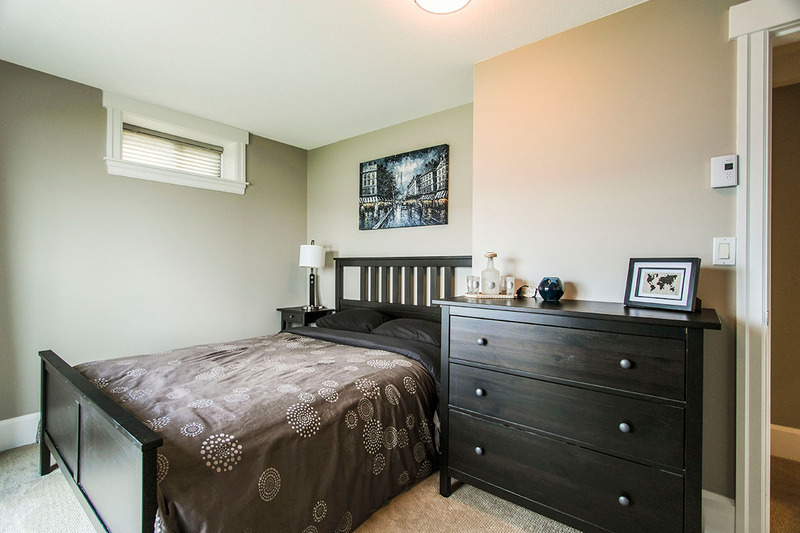 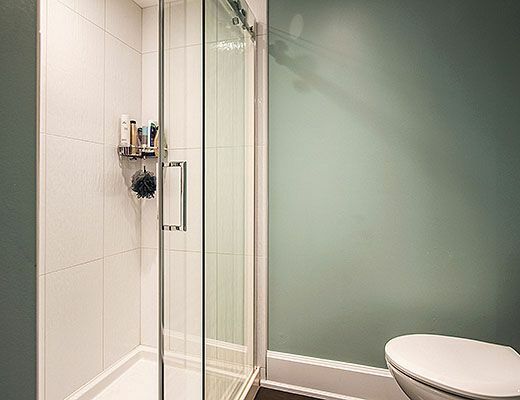 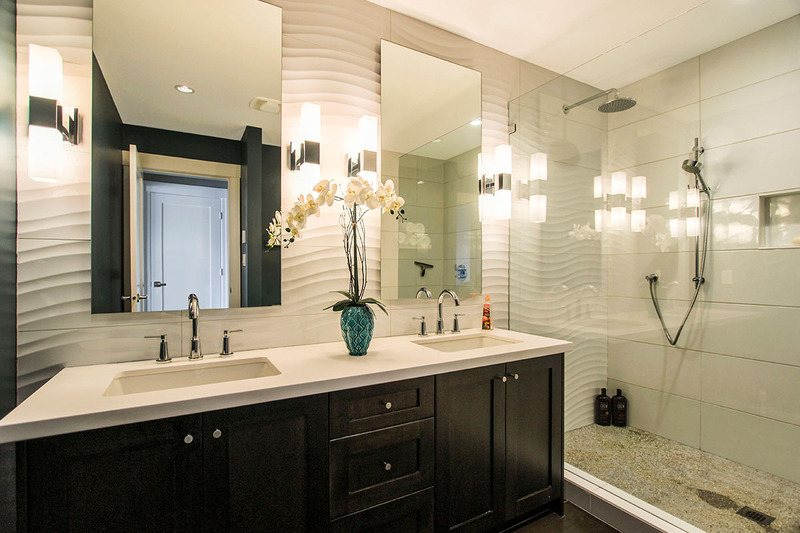 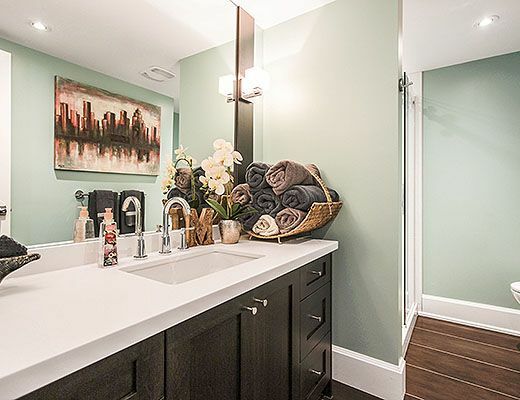 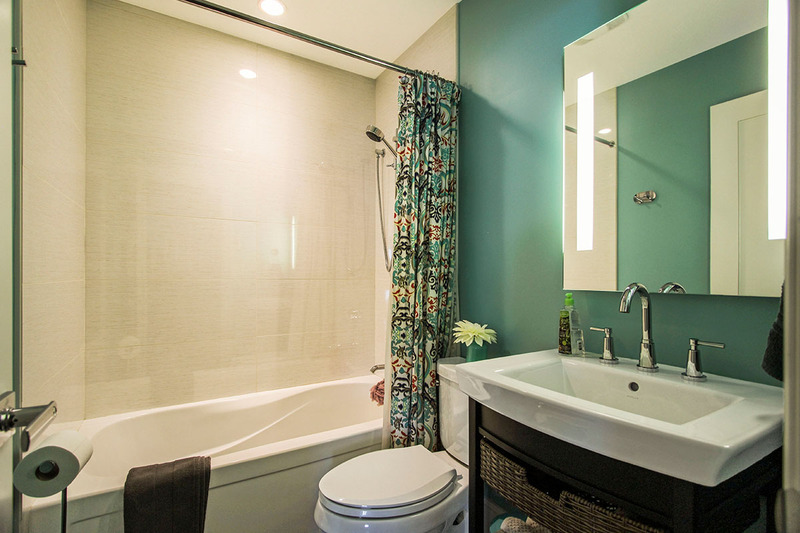 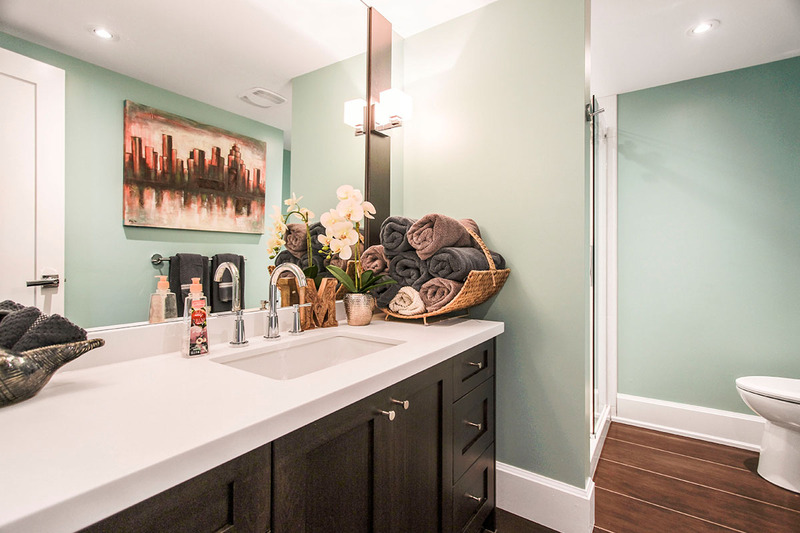 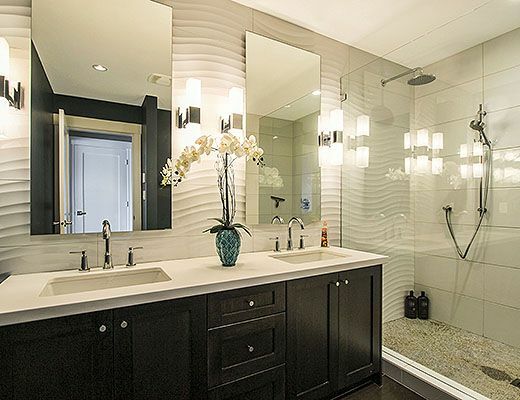 An additional Double furnished bedroom and full bath complete the upper level. 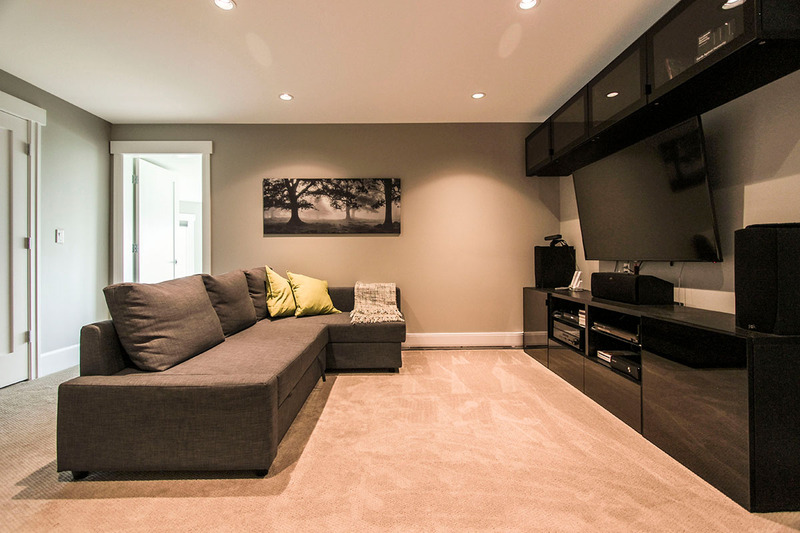 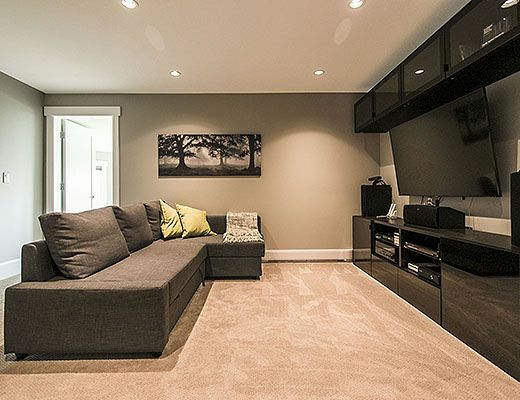 Downstairs guests will find a second living area, furnished with a pull-out sofa and a big screen TV. 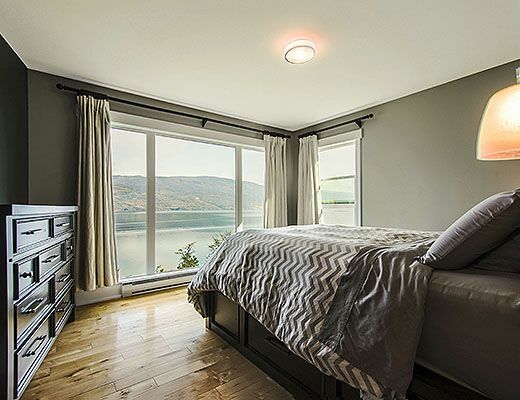 The third and fourth bedrooms each offer lake views and walk-out access to the lower patio and front yard. 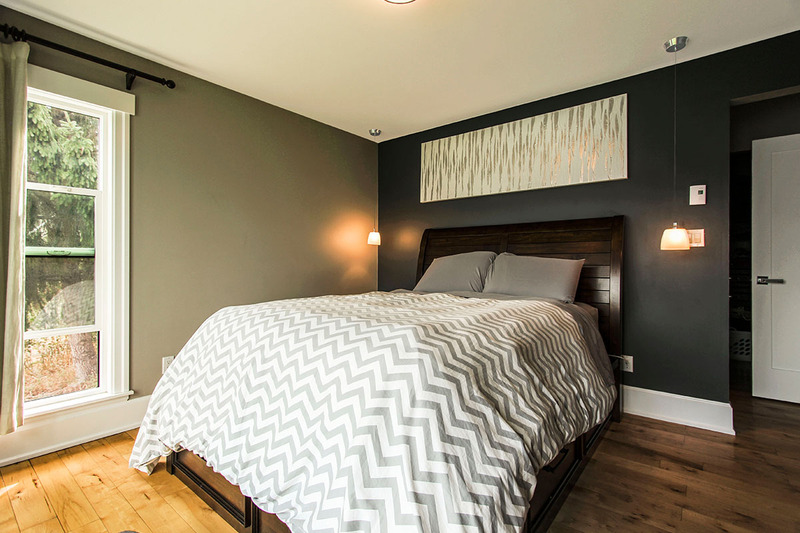 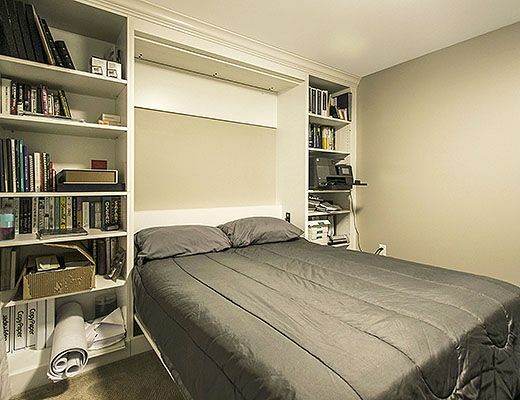 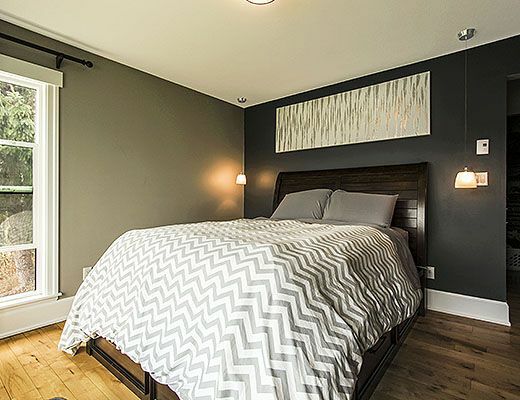 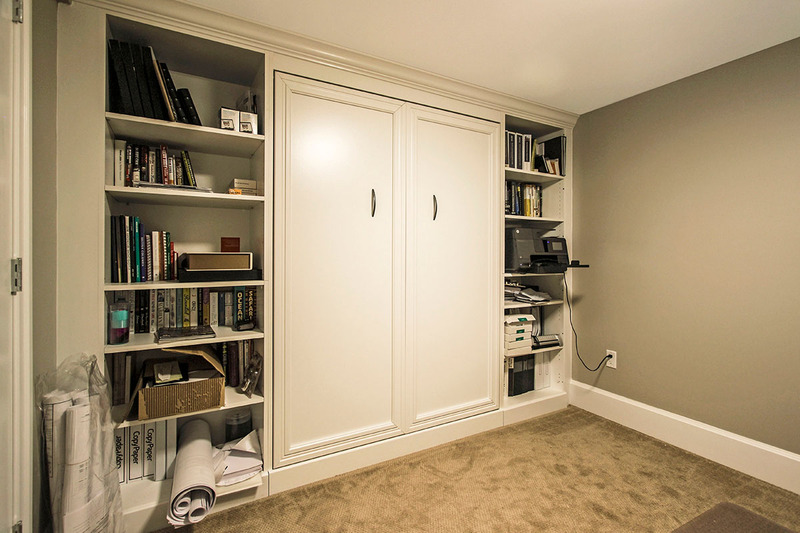 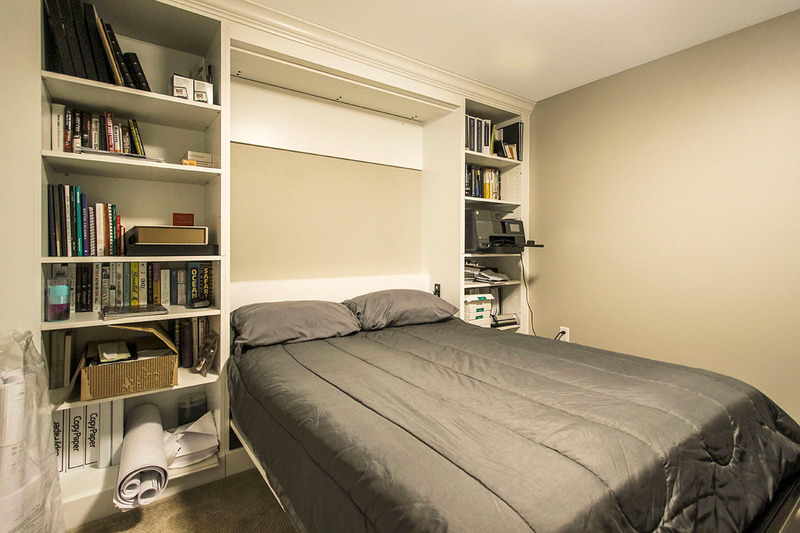 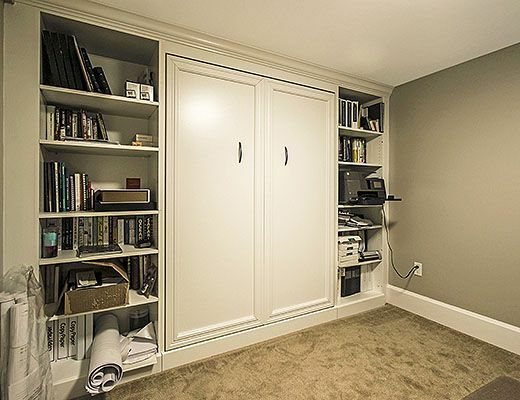 The final bedroom is furnished with a Double Murphy Bed. 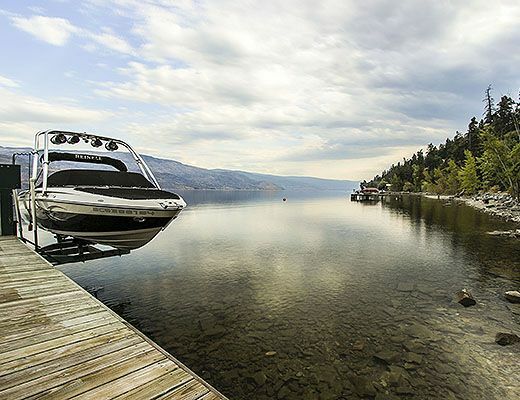 With plenty of parking and room for the whole family, this might just be the perfect destination for your next summer vacation. 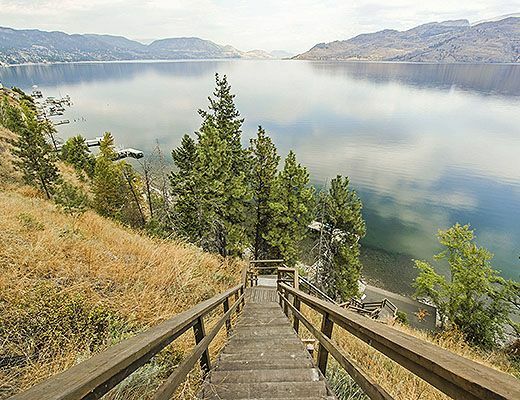 Special Note: *Please note the lakefront is accessed via a large staircase. 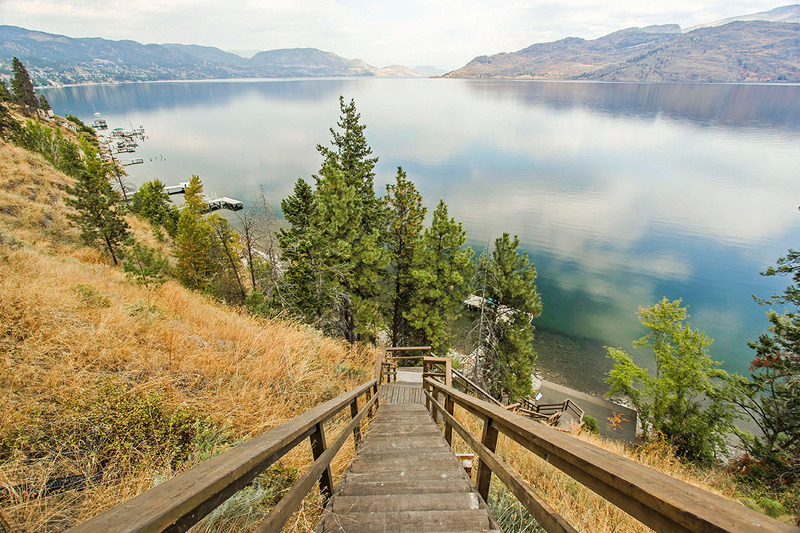 While the stairs are well maintained and feature hand rails on both sides, they are not suggested for young children to use unattended.